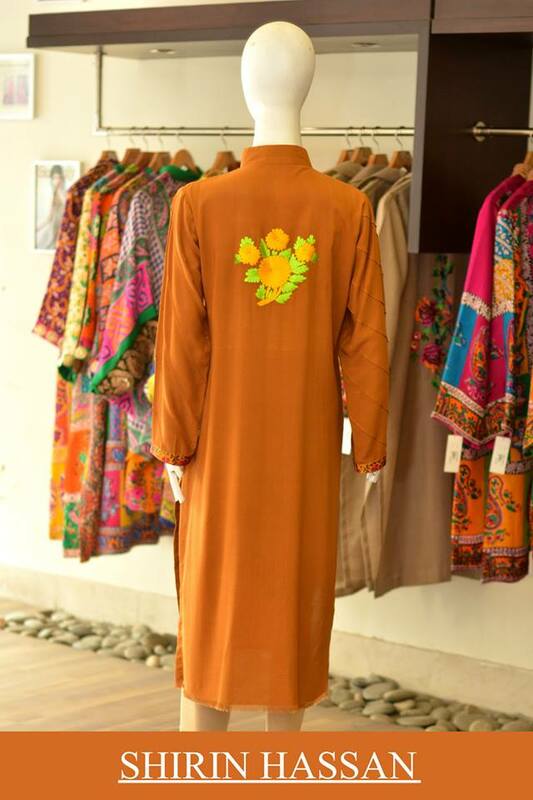 Block Print’s master, lover of bright hues, the one exhibiting her treasuries in some fashion shows, and delivering quality products with unique mesmerizing prints always are all the descriptions of Shirin Hassan! 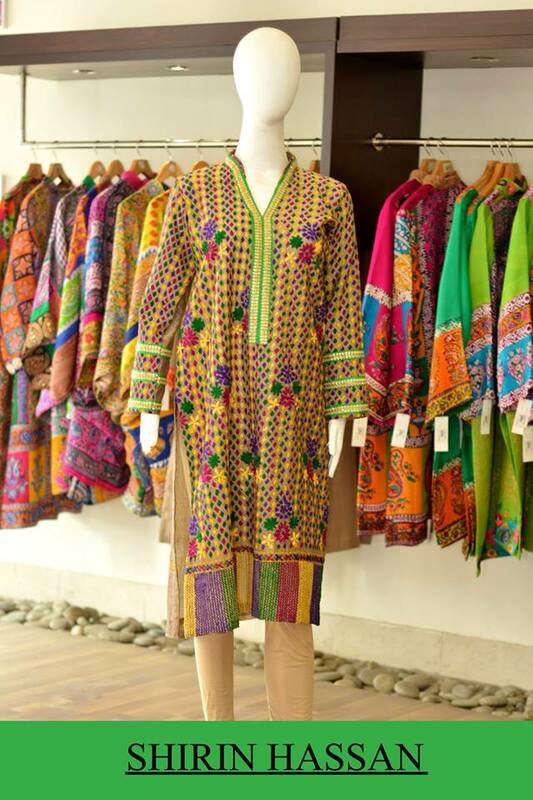 The designer clothing brand, she introduced, has a massive worldwide fame. 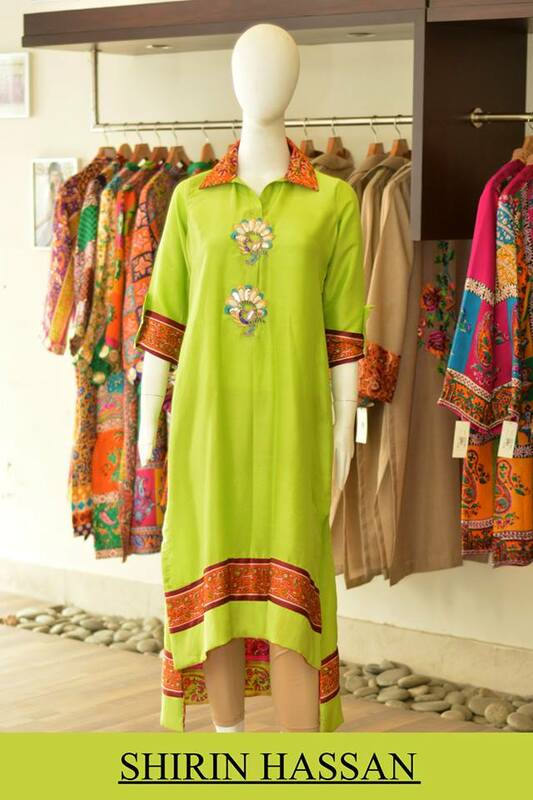 Other than working in Pakistan she also launched her brand in India in 2008. 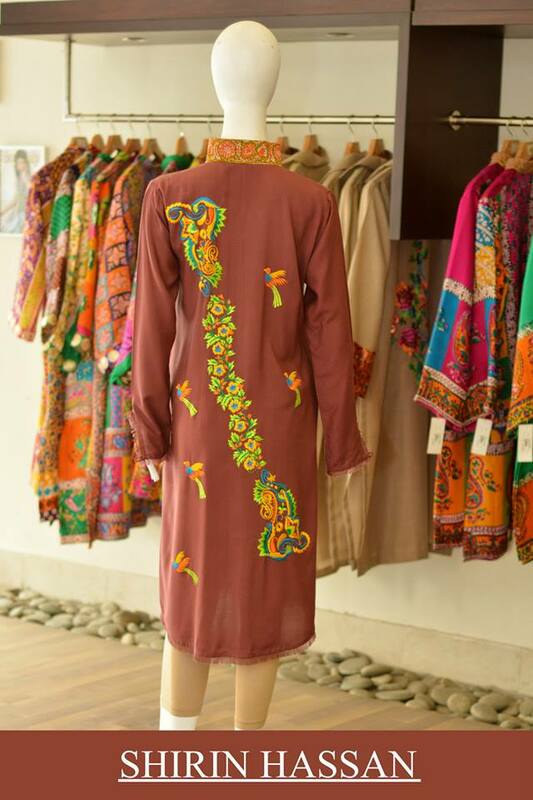 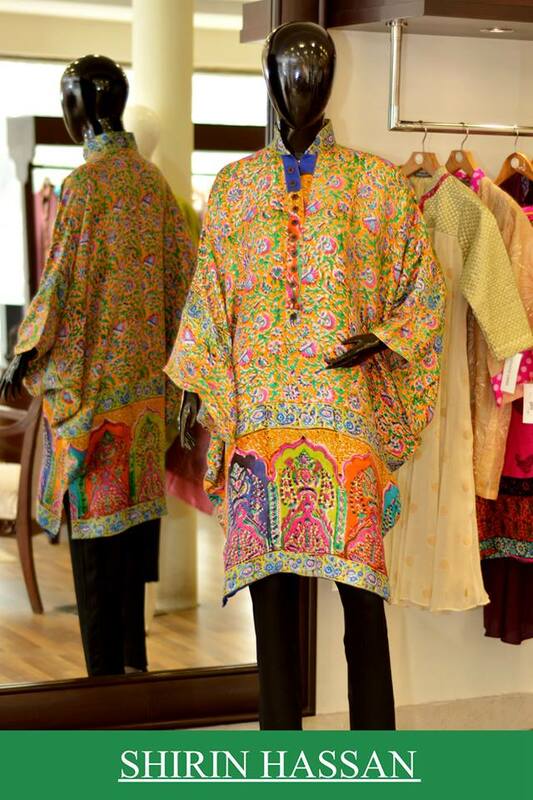 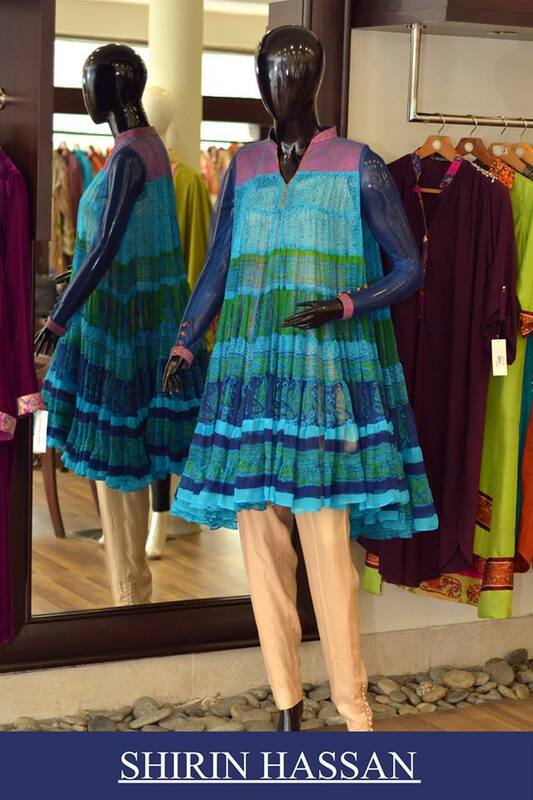 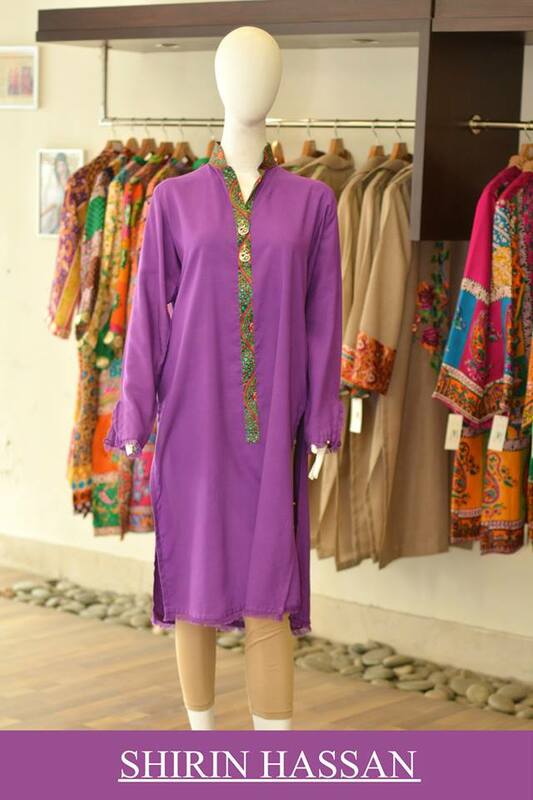 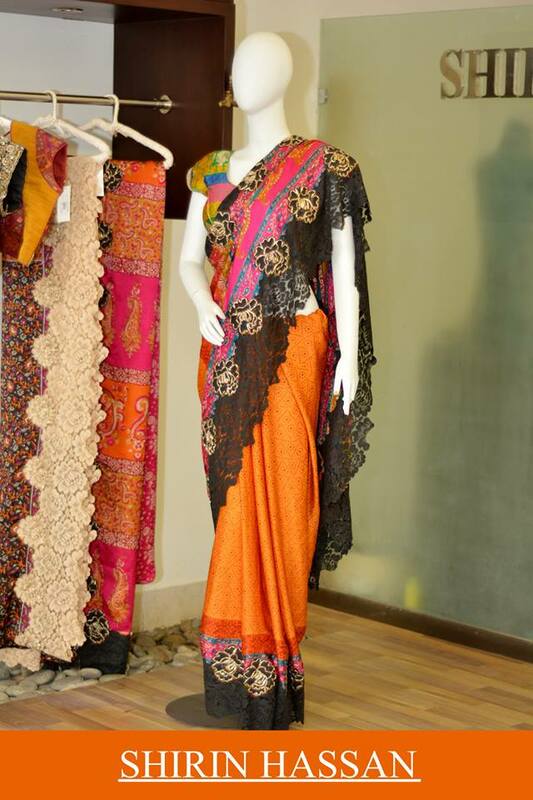 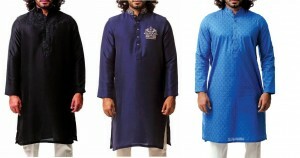 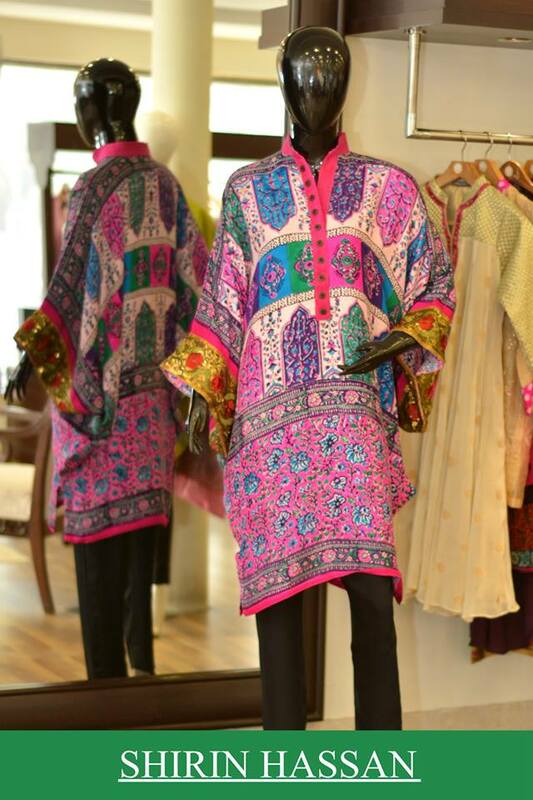 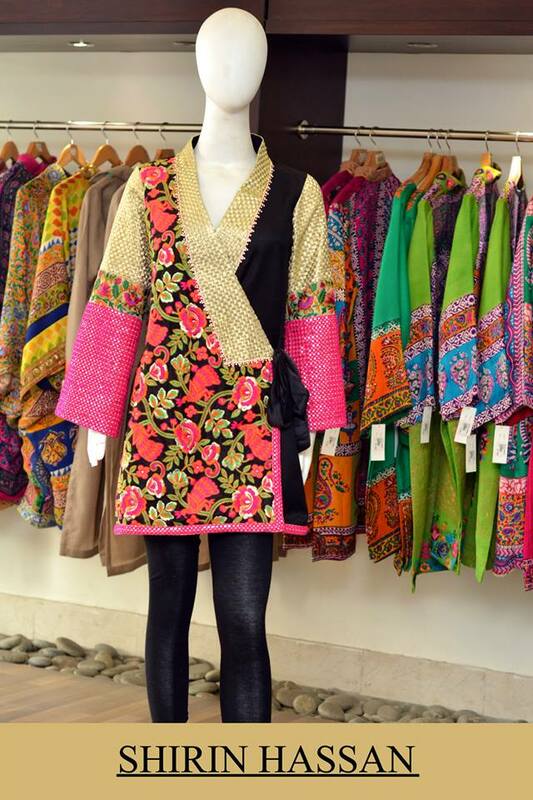 The Locations where it has its stores are Delhi, Mumbai, Dubai and US and is stocking currently at Lahore, Karachi, and Islamabad in Pakistan. 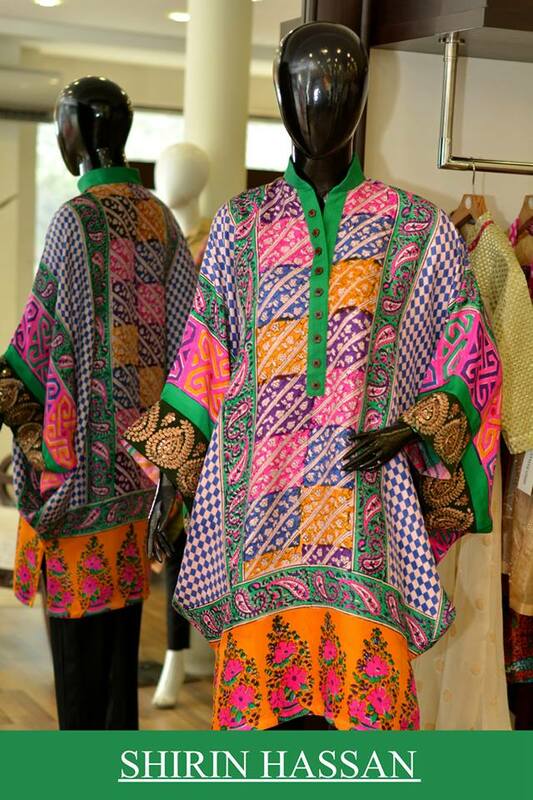 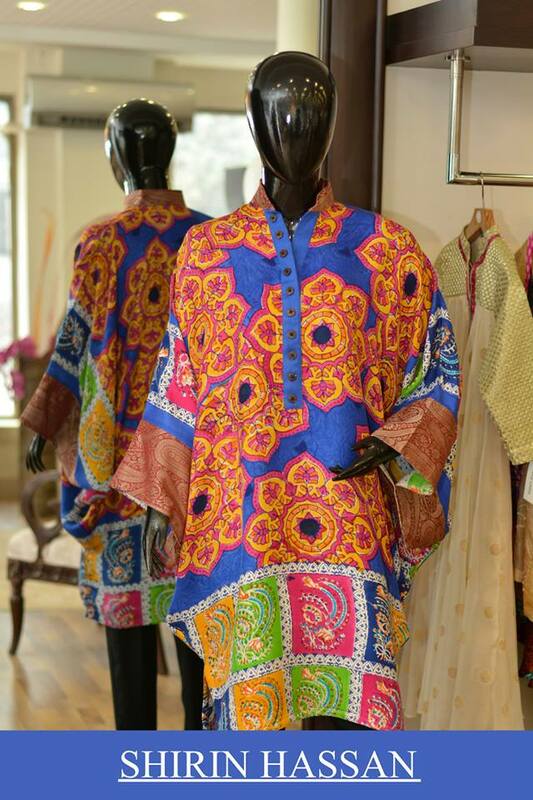 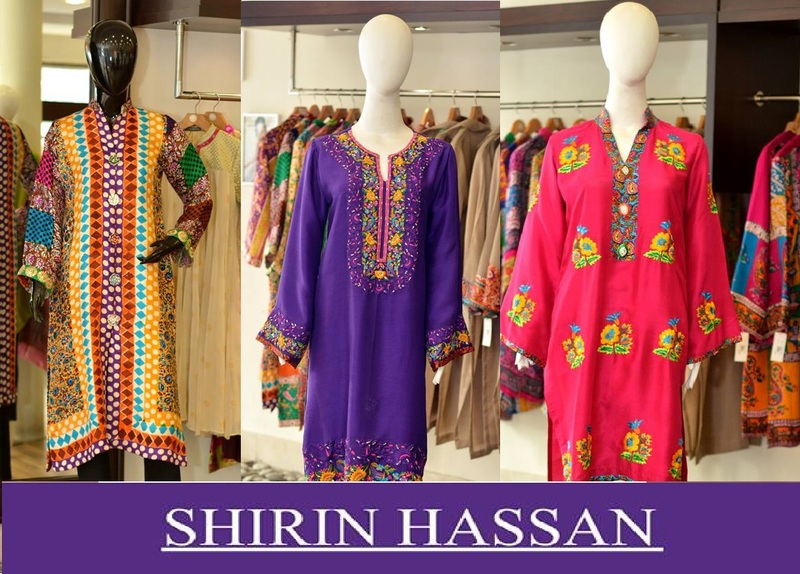 Shirin Hassan working with expertise and devotion has always formed and launched new assortments for women for every season and now for this season; she has also released a very different and beautiful collection of digital printed shirts and kurtis for girls. 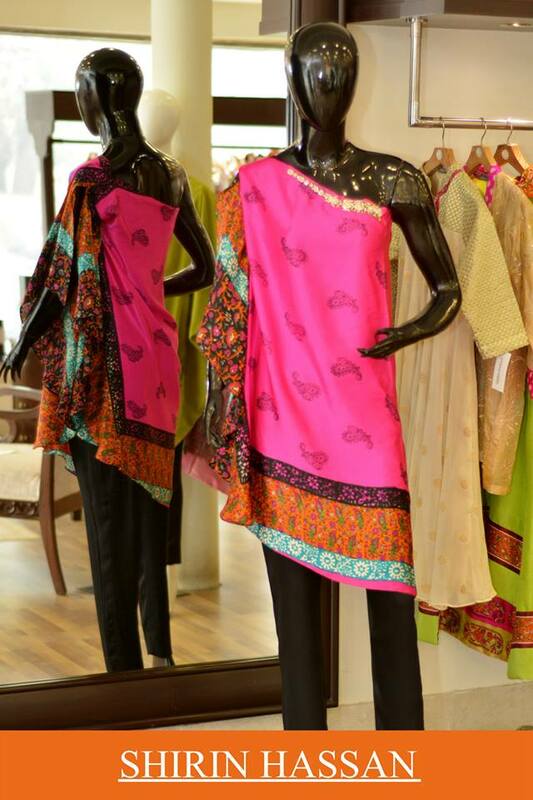 Let’s explore these fresh ones by the brand! 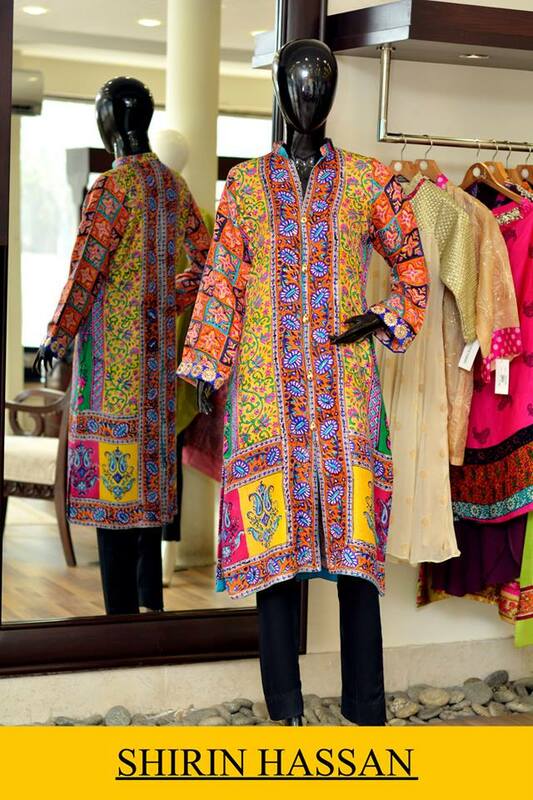 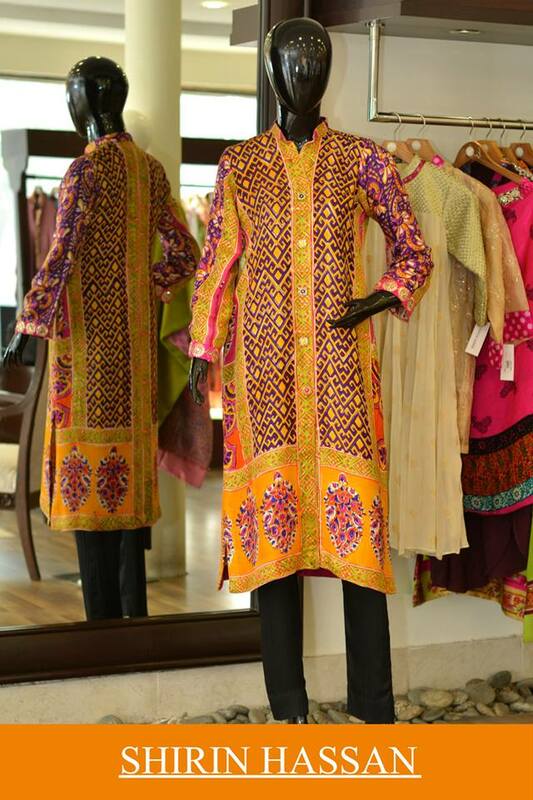 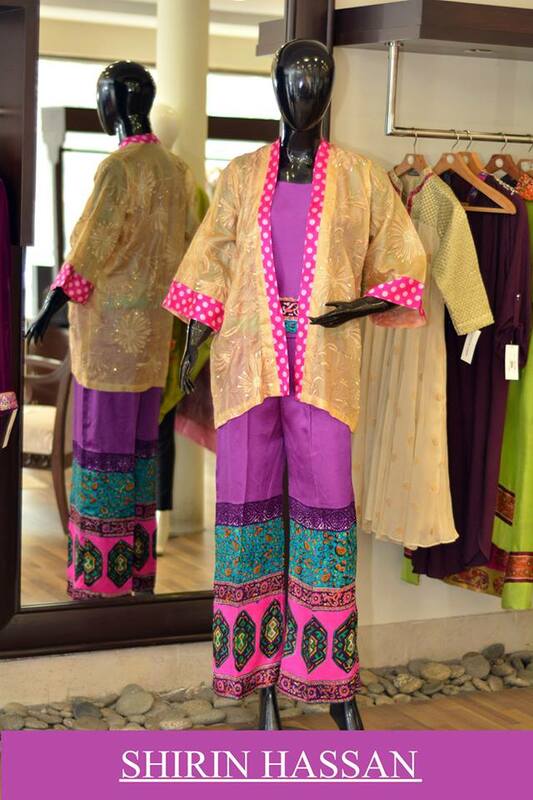 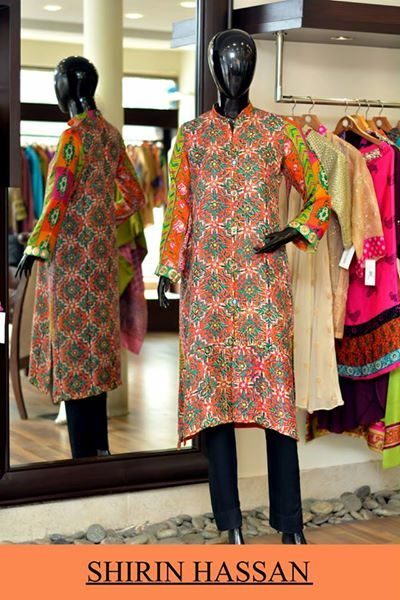 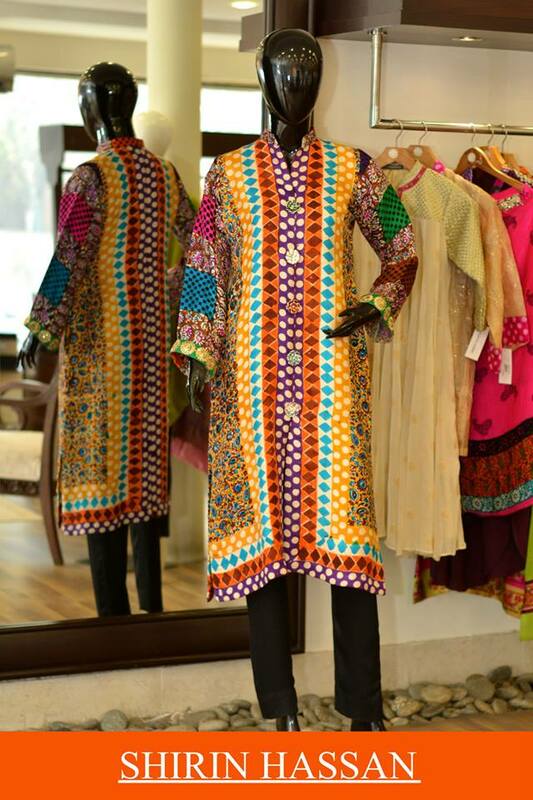 Latest Digital printed suits and Kurtis by Shirin Hassan for women is an array of amazing dresses finished in bright, vibrant colors and unique cuts & execution techniques. 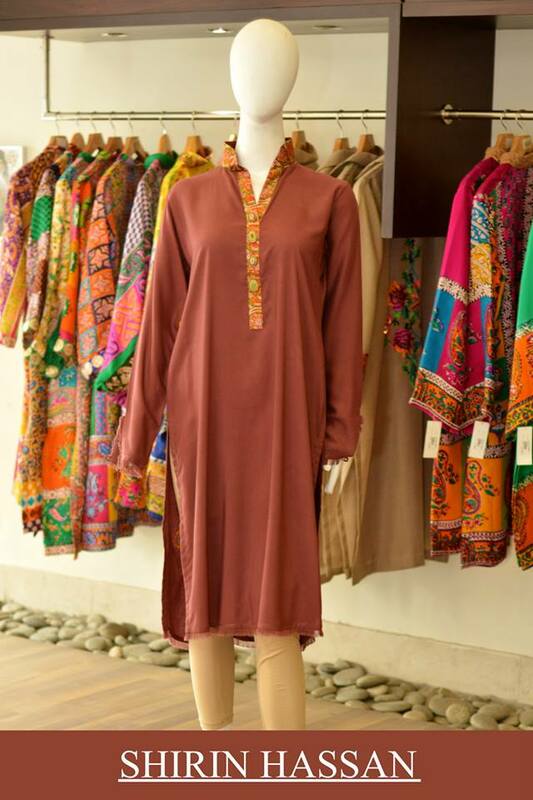 The stunning Formal, semi-formal, and casual Kurtis/ Tunics; kaftan style dresses; cut front design with cute buttons; long and short shirts/ kameez; loose kurtis; and long & short flared frocks with beautiful fall and wide ghera from this chic and unique collection. 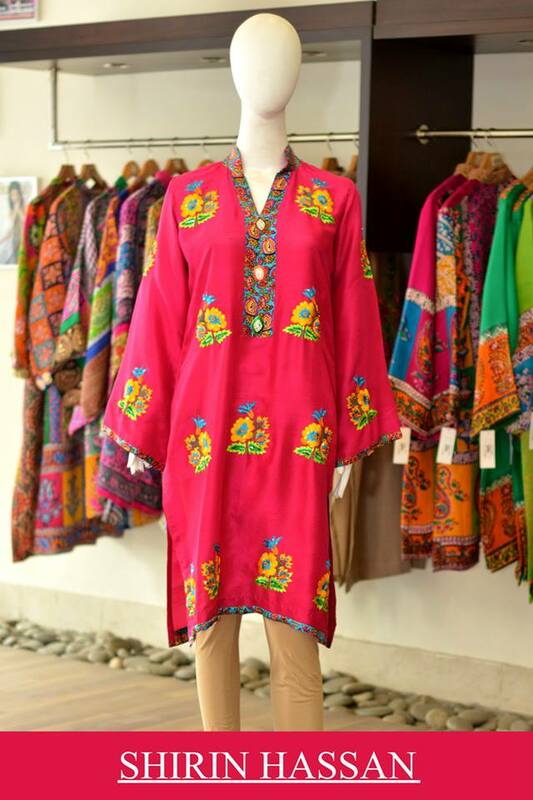 All these dresses have high-class, and distinctive patterns of digital latest prints enhanced more with subtle and elegant embroidered patterns over neckline, front, back, cuffs, bans, and collars. 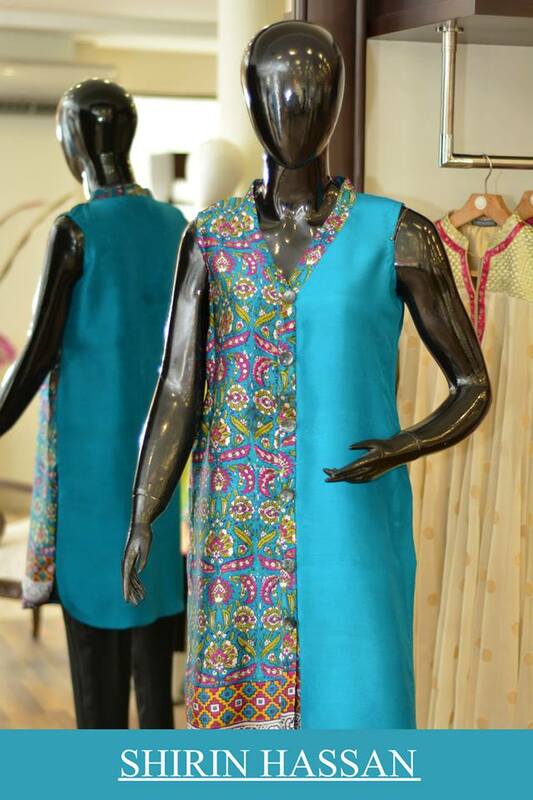 Pairing these with palazzo pants and tights; this collection gets a complete look for a girl to move on for casual days as well as for parties and functions. 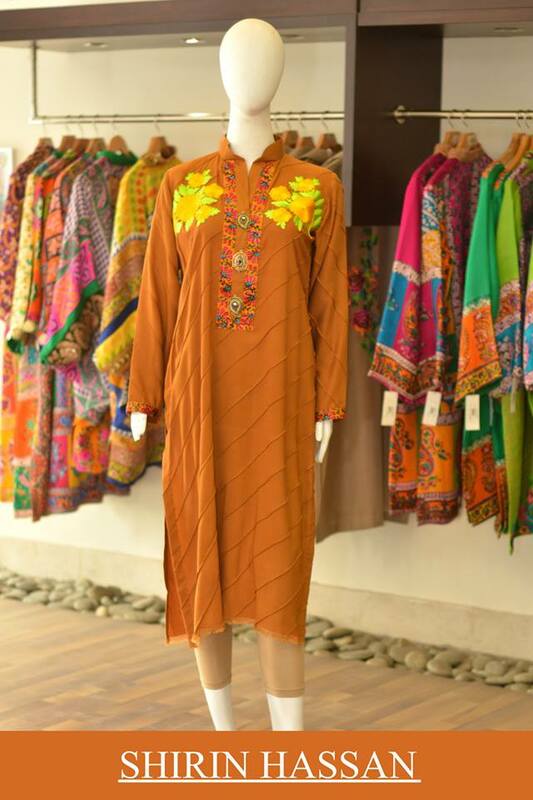 Short printed frocks, kurtis, and shirts are best for a young lady’s outdoor events; long embroidered shirts would give an elegant formal look to women, and loose kurtas and kaftan are finest and comfortable for regular days as well as semi-formal occasions. 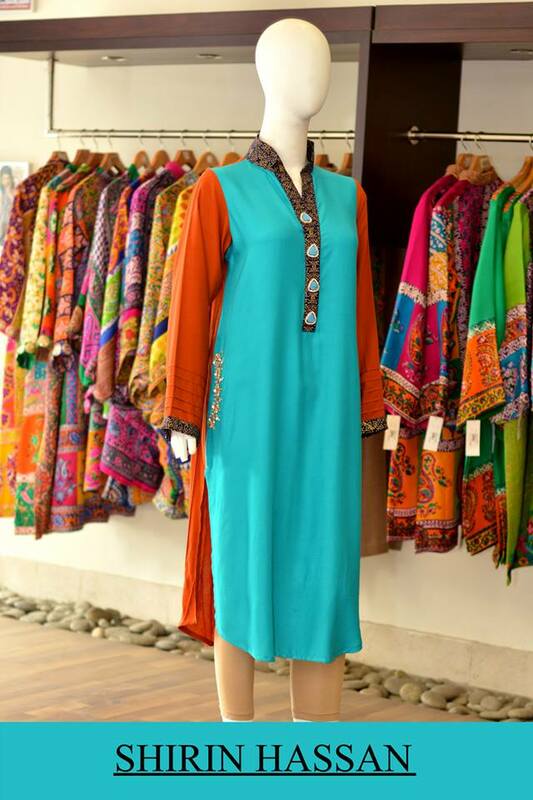 Hence covering all the needs of a stylish woman, this assortment would fill up the gap of your styling with hottest trends and chic clothing items. 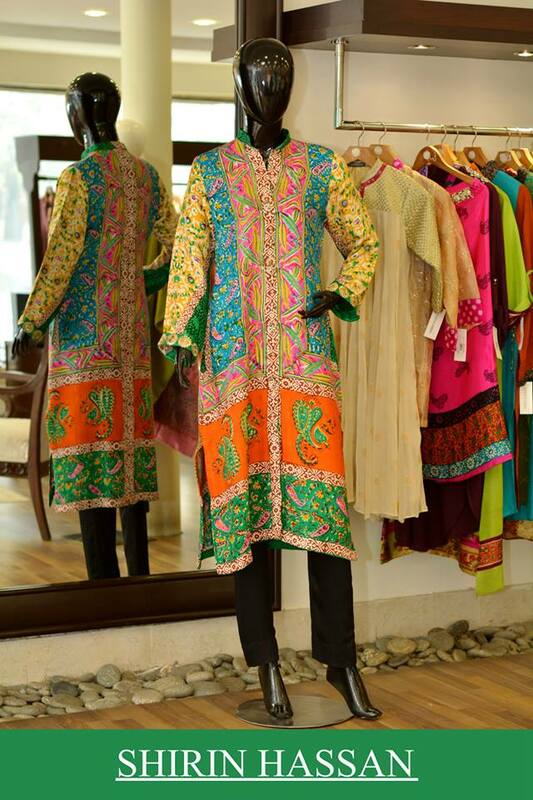 Though the above description of these dresses tells about the beauty and completeness of this collection; you won’t know the stylishness of these digitally printed and embroidered suits by Shirin Hassan until you see them by yourself. 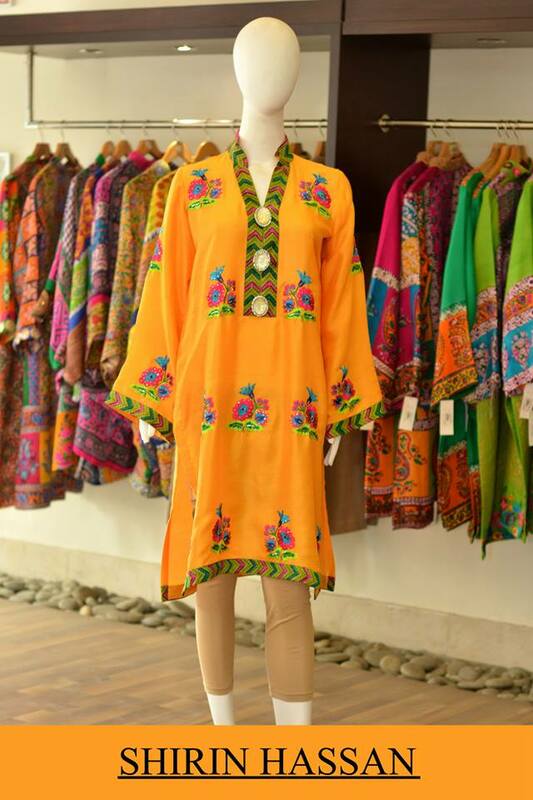 So just have a look at the images of this collection posted below for you to find the best one here without the effort of walking and then just grab the one you liked here from the nearby store. 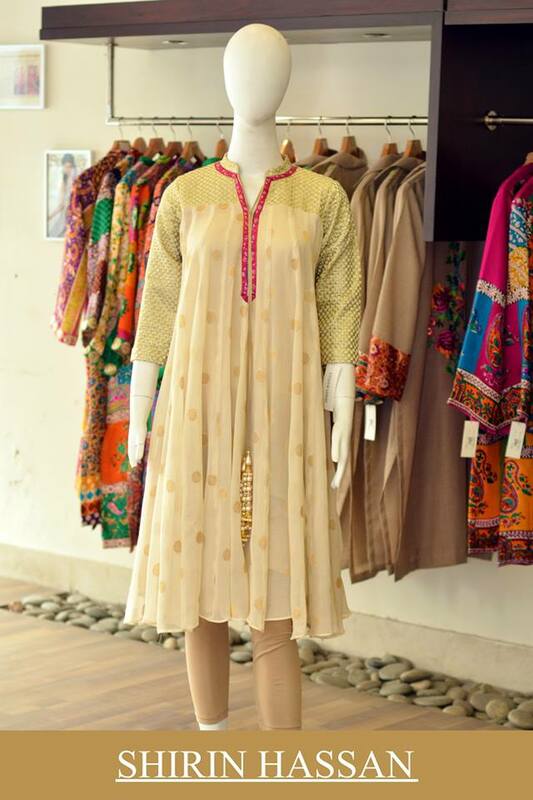 Have a look at the below-posted image gallery and get inspired by the latest designs of Kurtis by Shirin Hassan for your casual and formal wardrobes!